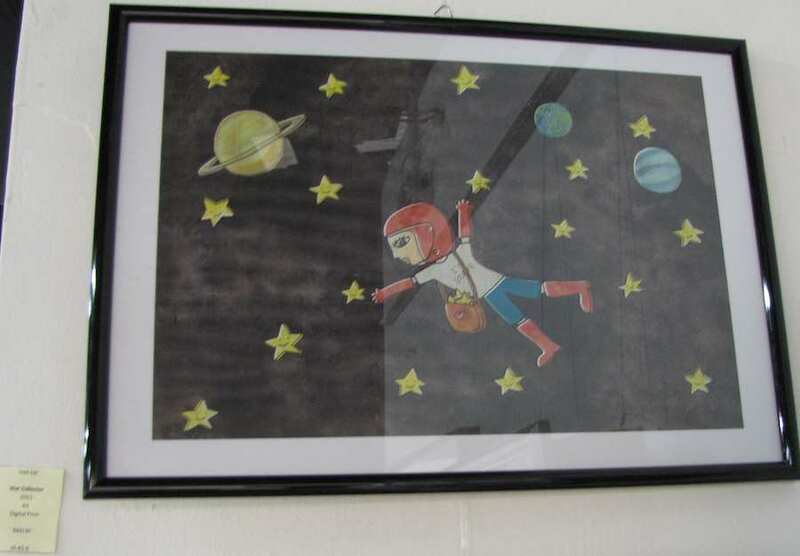 During 11th Annual JB Arts Festival I stopped by the White Box which is on the top floor of Danga City Mall in downtown Johor Bahru. A few weeks later I listened to a talk on backpacking around South America and Europe at the Black Box. 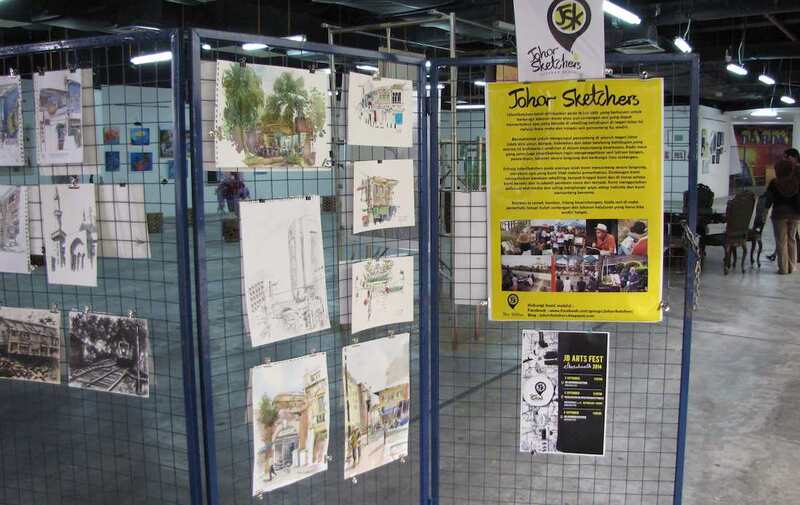 JB sketchers display with some of the participants work. Join in their monthly outings and more activities. These have become permanent spaces (for the time being anyway). Since the mall has many unrented spots this is a very wise idea; making use of otherwise wasted space and also brining in potential customers for businesses at the mall. 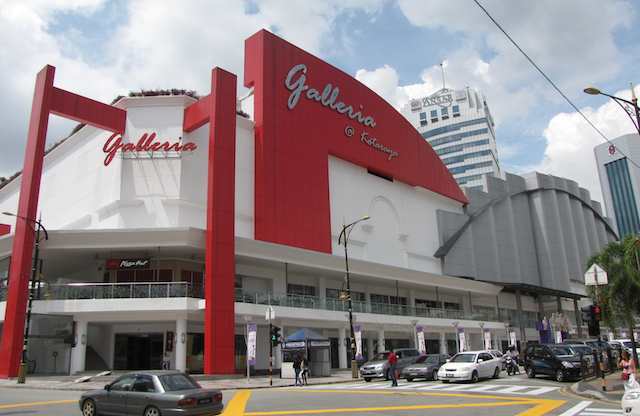 The Galleria @ Kotayara is a newly completely refurbished mall in JB town (Johor Bahru CBD). It is across the street from the Sikh Gurdwara Sahib and Sri Raja Mariamman temple and (on the other side of the mall) Bangunan Sultan Ibrahim. The food court has been open for a few months but the rest of mall is still mainly empty. Still the food court already has almost no seating (I went at lunchtime this time but another time, even in the middle of the afternoon the food court was very full). The food stalls (probably about 15 with mainly Malaysian dishes) offer very good food at great prices (the two times I have tried it so far anyway). Main courses are about 5-8 MYR ($2-3 US). The Jusco Mall at Permas Jaya is somewhat small. 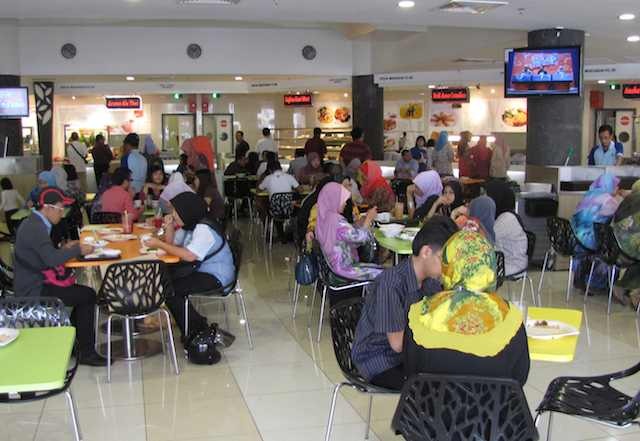 The Jusco Hypermarket offers a wide variety of items and the food selection is good. The Jusco may be a bit smaller than others but it is perfectly adequate in my opinion. 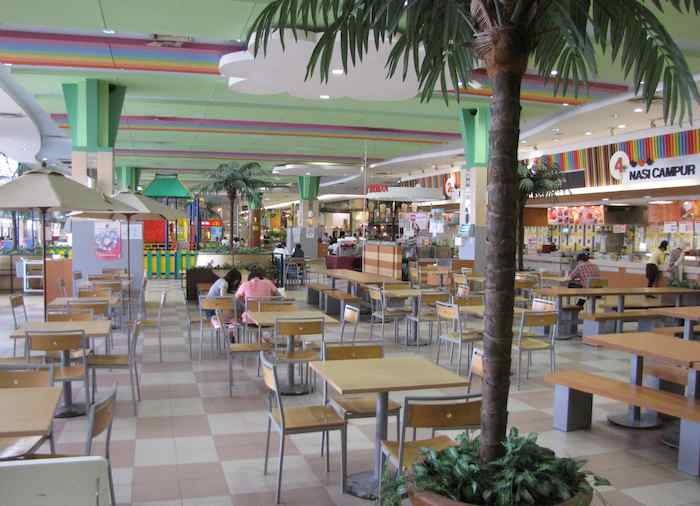 The best that the rest of the mall offers are restaurants, including a food court with several good options and also a Sushi King, A&W, Secret Recipe and Pizza Hut. I would guess there are fewer than 20 other stores. In the surrounding few blocks there are quite a few shophouses with restaurants, beauty salons and the like in addition to several hotels (and a large new Marriott, I believe, should open in 2012). There is a nice night market across the street from the mall on Sunday nights (I’ll add a post on that when I get a chance). The Treasure Store (used books) has also relocated to this area (near McDonald’s). City Square Mall greats you as you leave the CIQ and enter Johor Bahru CBD (Central Business District). You can take the over-street crosswalk from CIQ to enter the mall without ever going to street level. 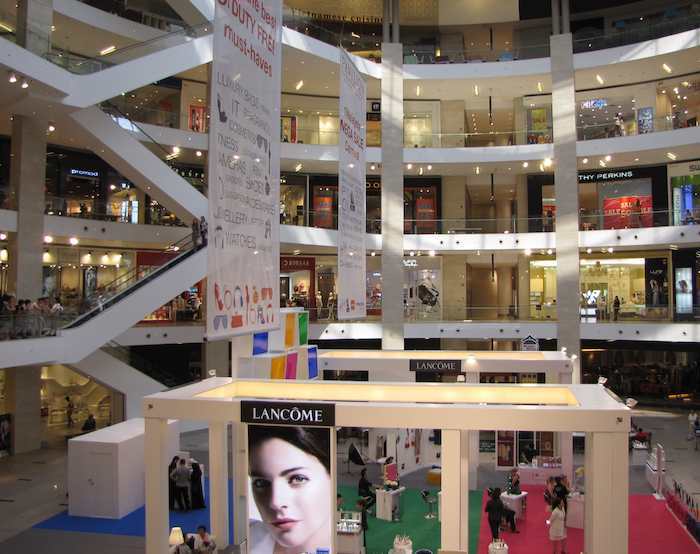 City Square Mall is one of 5 fairly large malls in downtown Johor Bahru. The others are Danga City Mall, KSL Mall, Plaza Pelangi, and Holiday Plaza Mall. The S1 bus will take you between all the malls and runs about every 20 minutes between 10 AM and 8 PM (and less frequently earlier and later in the day). City Square is a large, 5 story, mall that is doing quite well – the proximity to the CIQ and causeway, I am sure, help keep up traffic and therefore stores. There are a large number of clothing and fashion stores, as well as beauty salons. There is also a movie cinema with multiple screen showing the latest films. Food offerings include: Stonegrill, Old Town Kopitiam, Kinsahi, Papparich, Sushi King and Teh Sarabat Cafe. There is only one, small, grocery store. I find it somewhat amusing how un-user-friendly shopping mall website are, like City Square (it at least has photos of some of the stores). Though I would be more annoyed if I actually wanted to learn something from the site. They would be much better if they just had an RSS fee and a google search. Shopping malls spend a great deal of money providing an environment for shopping, I would certainly think they could do a much better job of providing virtual assistance with a bit of thought and effort. The internet might as well not exist, for how useless mall web sites are – that is not a good sign. 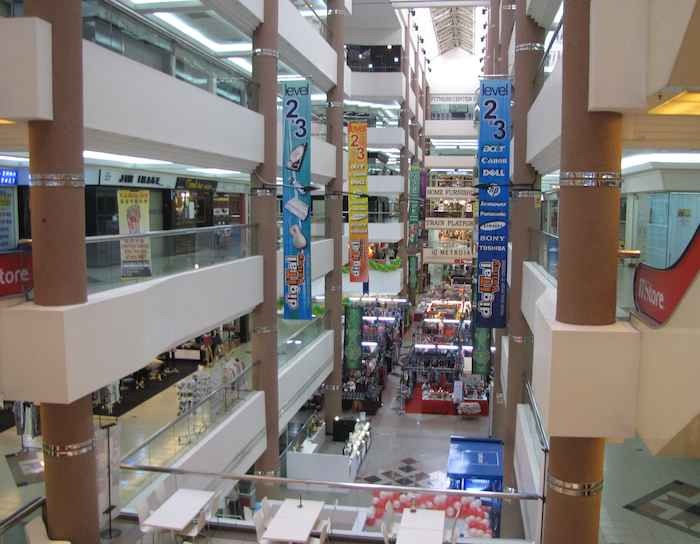 Inside the Danga City Mall in JB - unfortunately the upper floors have far too many vacant store fronts. The Danga City Mall is my favorite mall in JB. It has several very nice small restaurants and a high number of technology stores. The top floors also include a bowling alley, paintball arena and archery range. Unfortunately the mall also has quite a few empty shops. At least for now it also has my favorite store, the Treasure Store (which has lots of great used english language books): the Treasure store is moving to Permas Jaya next month. Ascentouch (authorized Apple reseller) part of the large IT Valley area in Danga City Mall, JB Town. 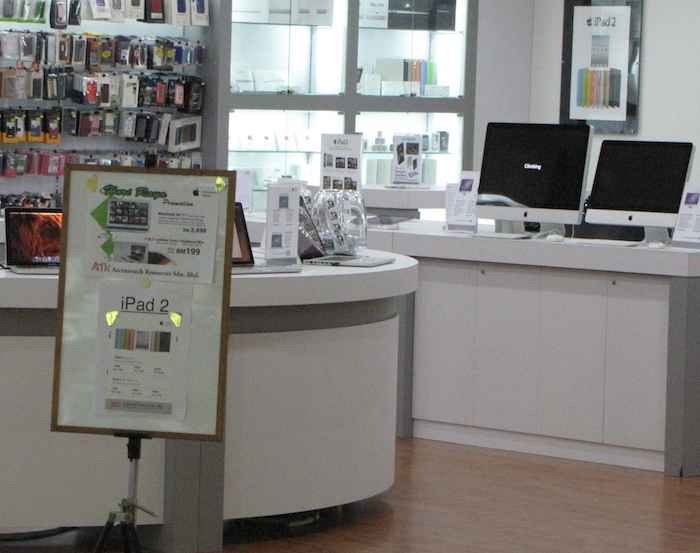 The IT valley has the richest collection of technology stores in Johor Bahru including Samsung, Sony, HP, and Ascentouch (Authorized Apple reseller) used computer stores, computer repair, computer equipment stores. They have the normal assortment of phone stores and internet providers. The restaurants offer some really good food very inexpensively. Two of my favorite are JB Station Kopitiam and Agena Sea (which moved next to the exhibit hall recently). On the lowest level there are about 8 good restaurant choices including Hokka Hokka Japanese Food, A1 Cafe. And there are probably about 8 more upstairs, including a small Italian restaurant which is decent (and better than I would think it could be for such a small location) though the seats are not very comfortable (more suited to drinking than eating). There is also a small grocery store that has some things but it would be better if it were a bit larger. 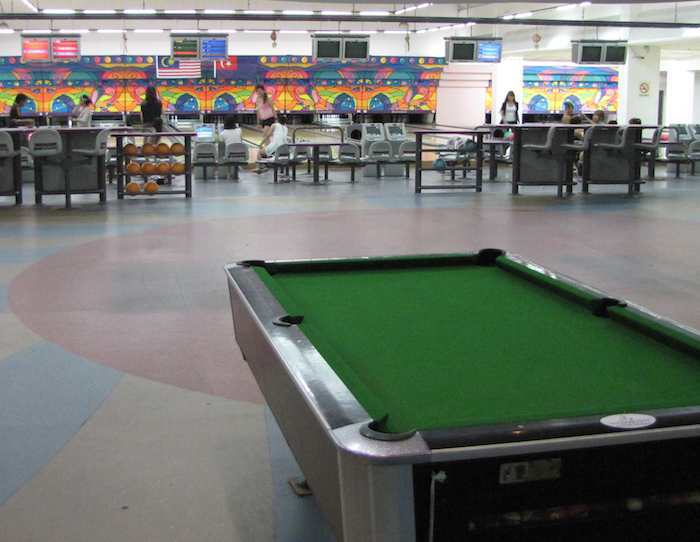 Bowling alley in the Danga City Mall - there is also a paintball arena. 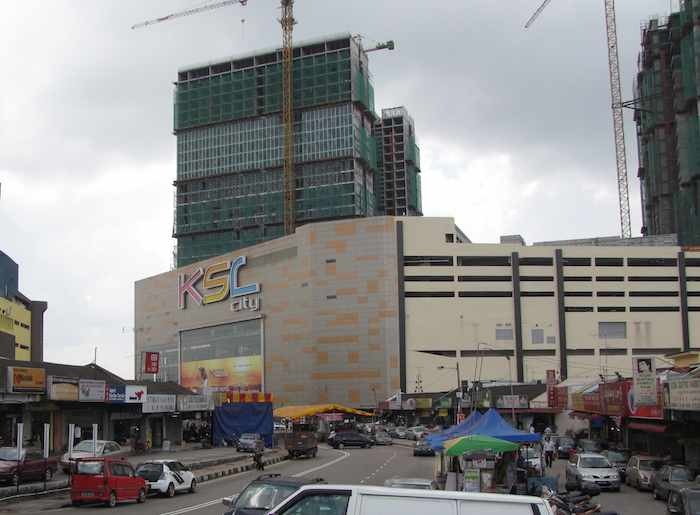 KSL Mall is one of 5 fairly large malls in downtown Johor Bahru. The others are Danga City Mall, Plaza Pelangi, City Square (right next to CIQ) and Holiday Plaza Mall. The S1 bus will take you between all the malls and runs about every 20 minutes between 10 AM and 8 PM (and less frequently earlier and later in the day). KSL mall is the newest and has luxury condo towers still under construction. 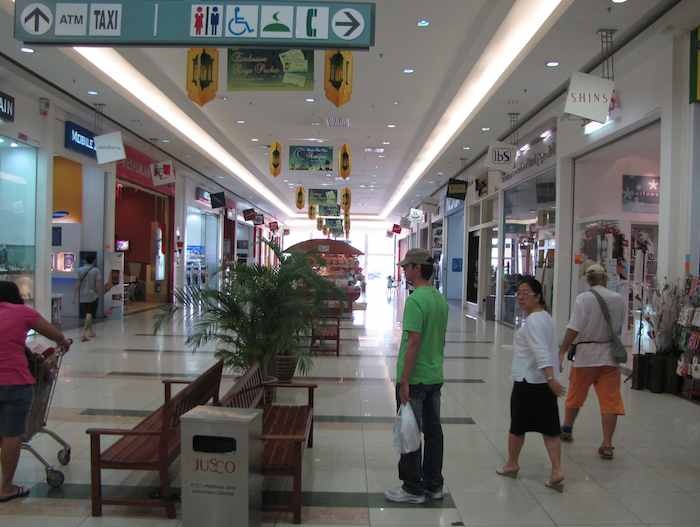 The photo also shows that the area surrounding the mall all has some shops. Inside the mall there are many choices for clothing, food, and beauty salons. The tenants include Tesco, MBO Cinemas and Sleep to Live. MBO Cinemas is one of the better options for watching movies in Johor Bahru. I would estimate there are over 60 stores (not including restaurants). Some of the restaurants I like: Sushi King, The Manhattan Fish Market (my one order so far was great and seemed more Malaysian than Manhattan to me) and BreadTalk (bakery). I would guess there are over 40 places to eat. For the downtown malls I believe City Square is the most used by visitors from Singapore (it is so close to CIQ that it is very convenient). KSL Mall and Danga City Mall (especially for computer and electronic equipment) are the others with the largest amount of Singapore visitors. Though the majority of Singapore visitors go to several of the larger malls outside of downtown, I believe. The malls get very busy on the weekends, with lots of visitors from Singapore, and also others who are off work for the weekend. During the week the traffic in the malls is often very light. The sales staff seems to spend more time using their cell phones (to I am guessing IM with friends) than anything else, during the week. As with all of the malls I have visited here they have space to let out for daily or multi-day events that usually include incredibly loud speakers. The speakers are often blasting out more than enough decibels to damage your ears anytime you need to get by that area of the mall. I would imagine this helps explain why loud noises don’t seem to bother people so much (once you lose hearing from exposure to lots of excessively loud noise you don’t notice it – because of hearing loss).